The Alcatel-Lucent MDR-6000 (now the Nokia MDR-6000) was a revolutionary microwave digital radio technology development when it first arrived years ago. It offered the industry’s first ever radio that supported capacity upgrades without needing to perform a complete changeout of modules. Your used and refurbished Alcatel-Lucent MDR-6000s were upgraded with Nokia technology including its trademarked Capacity Key™ that allows you to build up a two DS1 radio with supports to grow up to a 16 DS1 capacity, all thanks to a simple sub-board replacement. Plus, there are plenty of upgrades on hot-standby radio systems. Radios operate across a range of frequency bands from 2 GHz to 11 GHz, with solutions built for large common carriers, private networks and even unique capabilities to meet the requirements for today’s government agencies. The Alcatel-Lucent MDR-6000 family is available in 2, 4, 8, 12 and 16 DS1 options, so it’s become a go-to choice for spur routes. 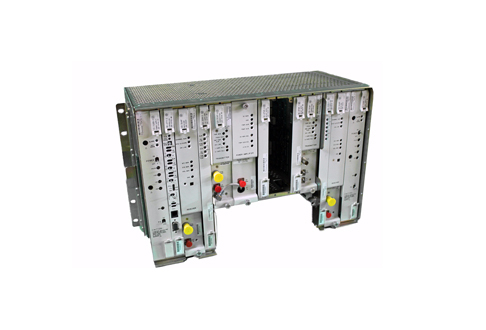 Used and refurbished Alcatel-Lucent MDR-6000s are offered in two modulation schemes: 32 Trellis Coded Modulation (TCM) and 128 TCM. The MDR-6500 Series (32 TCM) is designed specifically for longer paths thanks to generating significantly higher system gain. The MDR-6700 models are best suited for areas that face constant and frequent congestion where you’re going to need spectral efficiency. Worldwide Supply can provide you with repairs, sales, parts, support, maintenance and much more for the complete range of used Alcatel-Lucent MDR-6000 already in your network. Want to upgrade? We can also make sure you get the best, tested refurbished Alcatel-Lucent MDR-6000s to grow where your network needs it most.